High-safety and high-tolerance soap-free nutri-protective and soothing cleansing cream for babies and children with very dry skin. • Specifically formulated in accordance with the ABCDerm dermatological safety commitment, ABCDerm Ato+ Crème lavante nutri-protectrice gently cleanses and prevents severely dry skin in babies and children. • Formulated based on mild superfatting and soap-free cleansing agents, ABCDerm Ato+ Crème lavante nutri-protectrice soothes and eases the feeling of tightness and itchiness. 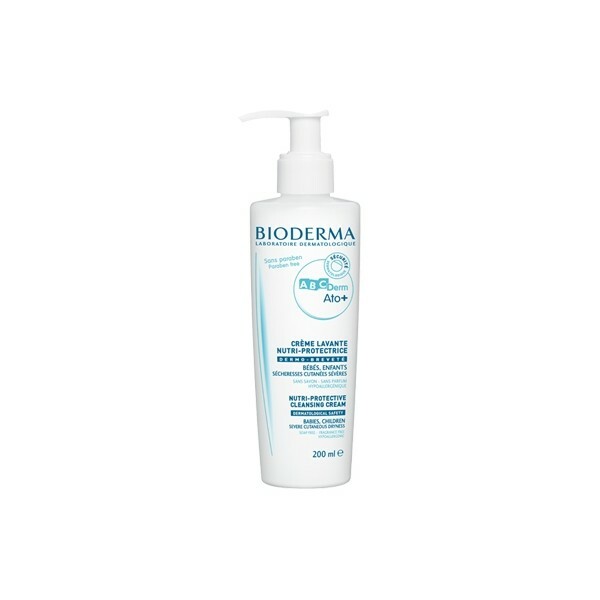 • Enriched with specific dermatological active ingredients, this cleansing cream limits the proliferation of micro-organisms that can aggravate dry skin. • Its ultra-soft texture guarantees excellent skin and eye tolerance. Does not sting the eyes. 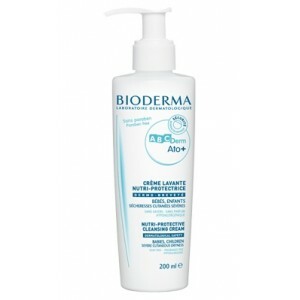 - Lather ABCDerm Ato+ Crème lavante nutri-protectrice on wet face and body. - Rinse thoroughly then dry gently. - Then apply the ABCDerm Ato+Baume émollient nutri-protecteur care product.